Is AksyonTV becoming TV5's News TV and S+A? As stubborn as they come. Even in a losing cause GMA continues to defy the norm. Their insistence comes in the form of one afternoon drama that airs from Monday to Saturday. Initially they only used this formula for ‘Ika-6 na Utos’, by far their most successful afternoon drama in the recent past. But later dramas such as ‘Contessa’ and ‘Ika-5 Utos’ proved to be flukes as neither show was able to keep viewers tuned in six times a week. And after only 36 episodes, GMA demoted ‘Ika-5 Utos’ to a later timeslot to make way for yet another ‘kabitserye’. As far as the new series ‘Asawa Ko, Karibal Ko’ is concerned, there is no need to explain, not even the story itself. For those who still want to check in on the plot, just click this link. Enough said. Anyway, ‘Asawa Ko, Karibal Ko’ will be led by Kris Bernal, Rayver Cruz, Thea Tolentino and Jason Abalos. The supporting cast will include Lotlot de Leon, Devon Seron, Annalyn Barro, Caprice Cayetano, Jean Saburit, Ricardo Cepeda, Maricris Garcia, Matthias Rhoads, and Phil Noble. While ‘Asawa Ko, Karibal Ko’ has some recognizable names and an intriguing yet familiar storyline, the challenge now for the show is its ability to keep viewers glued to their seats from Monday to Saturday. Considering its opponent is ‘It’s Showtime’, it is not going to be an easy task, especially on Saturdays. That said, GMA can only hope that ‘Asawa Ko, Karibal Ko’ will give Vice Ganda and company a lot more than they can chew. If not, then it will not be a surprise to see GMA demote this series and try a new strategy every Saturday. Directed by Mark Sicat dela Cruz, ‘Asawa Ko, Karibal Ko’ airs every Monday to Saturday after ‘Eat Bulaga’ on GMA. The merciful end of ‘Contessa’ has finally arrived. After a run of 147 episodes, ‘Contessa’ will officially close its book Saturday afternoon. And while 147 episodes seem like a successful run by GMA’s standards, its performance was anything but. When ‘Contessa’ began, GMA initially penciled the series to air only from Monday to Friday. But when no suitable replacement for the Saturday timeslot came, GMA reluctantly added a Saturday episode to ‘Contessa’. That said, GMA placed extremely high expectations on ‘Contessa’. They thought that airing ‘Contessa’ six times a week would capitalize on the gains made by its predecessor ‘Ika-6 na Utos’. Unfortunately, that did not happen. ‘Contessa’ started slow, registering ratings of under 10% during its initial few weeks. While the series was able to increase its ratings to 12-14% over the next several months, it was clear that ‘Contessa’ underachieved in comparison to ‘Ika-6 na Utos’. Many viewers felt that the series was never compelling enough to begin with and some even went as far as comparing ‘Contessa’ to ABS-CBN’s ‘Wildflower’ due to its similar themes. It also did not help that ‘Contessa’ struggled against ‘It’s Showtime”s ‘Tawag ng Tanghalan’. Even with the criticism surrounding the latter’s penchant to go overtime (thank you Vice Ganda), ‘Contessa’ was unable to capitalize simply due to the viewers’ apathy of the situation. If there is one solace for ‘Contessa’, it is that it gave Glaiza de Castro a chance to play the victim. Normally known for her antagonistic roles, Glaiza’s complete 360 on ‘Contessa’ proved that she is just as good playing the compassionate and sometimes vengeful characters. Still, it did not change the fact that ‘Contessa’ never became a hit series despite its long run. Let’s face it, adding a Saturday episode was a mistake and viewers got burned out, consequently resulting in poor ratings. In the end, GMA should learn a harsh lesson from this debacle. Airing a series five times a day was enough, but six was simply too much to feed your viewers. On Saturday, it will be ‘Contessa”s last stand. Perhaps the time has come for GMA to end this charade once and for all. Welcome to the Overtime Period between ‘It’s Showtime’ and ‘Contessa’. Over the next several days, From the Tube will conduct a live blog in which the writer will simultaneously watch ‘It’s Showtime’ and ‘Contessa’ starting at 2:30 p.m. Throughout the proceedings, a stopwatch will be used to determine how much time has elapsed between the two shows. ‘It’s Showtime’, an ABS-CBN noontime variety show, will be followed via iWant TV from the writer’s mobile phone, while ‘Contessa’, a GMA afternoon drama series, will emanate from the writer’s television set. With that, let the countdown begin. 2:26 p.m. – ‘Contessa’ starts with highlights from yesterday’s episode. Meanwhile, ‘It’s Showtime”s ‘Tawag ng Tanghalan’ introduces Luzon contender Charity Fabon. 2:29 p.m. – Gabriel (Geoff Eigenmann) and Bea/Contessa (Glaiza de Castro) reconcile. 2:32 p.m. – Vice Ganda and Vhong Navarro interview Charity after a stirring performance. 2:37 p.m. – Vito (Gabby Eigenmann) fights the police and gets involved in an accident. ‘Contessa’ takes a break while Vice, Jhong Hilario and an audience member converse. 2:42 p.m. – ‘Contessa’ returns with Vito on the verge of escape. Over on ‘It’s Showtime’, Vice’s shenanigans continue. 2:45 p.m. – News of Vito’s escape reach the Imperials and Bea/Contessa. And more Vice Ganda shenanigans. 2:47 p.m. – Remember the mansion of Lola Nidora on ‘Eat Bulaga”s Kalyeserye? This is where the Caballeros take refuge, but Vito is lurking nearby. 2:49 p.m. – Commercial time for ‘Contessa’. It’s already 23 minutes since the episode started. 2:53 p.m. – Visayas contender Bless Ebarita is introduced. 2:55 p.m. – After a second MTRCB SPG advisory, ‘Contessa’ returns with Bea/Contessa showing a serious look on her face. Flashback scenes of Vito and Bea/Contessa are played in the background. 2:58 p.m. – Vice and Anne Curtis talk to Bless following her performance. 3:01 p.m. – Another break for ‘Contessa’. 3:07 p.m. – ‘Contessa’ is back from commercial. Meanwhile ‘It’s Showtime’ is about to head to a commercial themselves. 3:10 p.m. – The 3:00 p.m. prayer is now being aired on ABS-CBN, just as Vito attacks Bea/Contessa’s friends. 3:11 p.m. – ‘Contessa’ takes a break anew. 3:17 p.m. – ‘Contessa’ is back with a standoff down at the Caballero household. Looks like the show will finish on time. 3:20 p.m. – ‘Contessa’ comes to an end. Meanwhile ‘It’s Showtime’ is not yet through with its commercial and ‘The Stepdaughters’ is about to begin. The end result: It turns out ‘Contessa’ is not to blame for GMA’s ‘overtime’ and ‘long commercials’ shenanigans. But the question remains, which GMA show is to criticize for the network’s ‘play fair’ strategy against ABS-CBN? From the Tube will continue to monitor this ongoing saga between GMA and ABS-CBN throughout the day. Thank you for joining us. 2:28 p.m. – ‘Contessa’ got underway with a standoff between the police and Duquessa (Gabby Eigenmann). Meanwhile, ‘It’s Showtime’ hosts Vhong Navarro and Anne Curtis interviews Luzon representative Marvin Dacillo on ‘Tawag ng Tanghalan’. 2:33 p.m. – Bea/Contessa (Glaiza de Castro) was proven innocent while Duquessa was accused of the murder of Bea’s husband and parents. Over on ‘It’s Showtime’, the TNT judges comment on Marvin’s performance. 2:35 p.m. – Commercial break for ‘Contessa’. It’s already seven minutes into the episode. 2:39 p.m. – It’s time for the second TNT contestant. Introducing Sherry Ann Archer, who represents Visayas. 2:41 p.m. – ‘Contessa’ returns from break, and Bea/Contessa is officially released from prison. Over on ‘It’s Showtime’, Jhong Hilario rings the gong on Sherry Ann who is promptly disqualified for singing out of tune. 2:44 p.m. – ‘It’s Showtime’ takes a break, while Bea/Contessa was interviewed by the media. 2:48 p.m. – Duquessa is taken out of prison, prompting a commercial break for ‘Contessa’. 2:54 p.m. – ‘Contessa’ returns from break, but not after a second SPG advisory from the MTRCB. 2:57 p.m. – ABS-CBN airs the customary 3:00 p.m. prayer. 2:58 p.m. – ‘It’s Showtime’ introduces the Mindanao contestant for ‘Tawag ng Tanghalan, Roy Limcaoco. 3:00 p.m. – ‘Contessa’ takes a break after Vito/Duquessa threatens to choke Bea/Contessa. 3:06 p.m. – ‘Contessa’ returns, having already spent 38 minutes on the air. 3:11 p.m. – Another commercial break for ‘It’s Showtime’ even as Bea/Contessa visits the grave of her husband Marco (Mark Herras). 3:13 p.m. – ‘Contessa’ takes a break too. 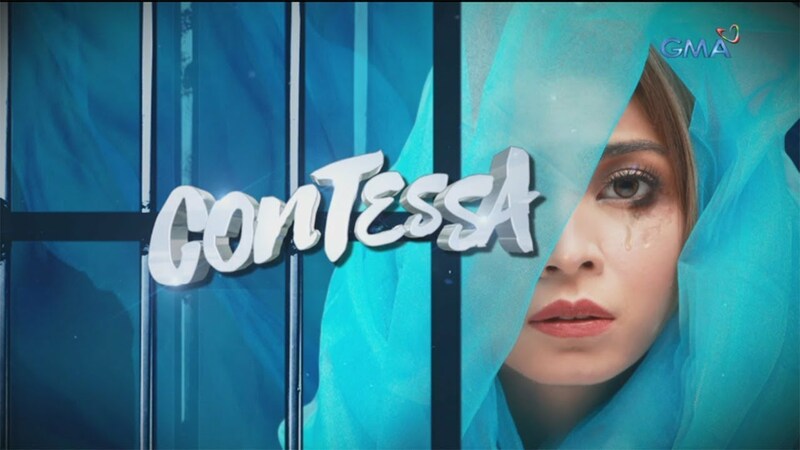 3:14 p.m. – ‘Contessa’ is already on its fourth commercial break. Looks like it will finish on time, contrary to my expectations. 3:19 p.m. – ‘Contessa’ returns with a visit to Vito’s prison from his family. 3:22 p.m. – ‘Contessa’ comes to an end, just as ‘It’s Showtime’ introduces its Mindanao contender Roy Limcaoco. So ‘Contessa’ didn’t go overtime, only lasting 54 minutes. 3:28 p.m. – Jeramae Narca, the Metro Manila contender and defending champion, wins today’s ‘Tawag ng Tanghalan’. That ends ‘It’s Showtime’. The end result: Neither show went to overtime, at least for today. Catch us again tomorrow for another live blog. Thank you for joining us. Is It Time for GMA to End Contessa’s Saturday Experiment? Talk about a complete 360. Through its first nine episodes as of April 4, GMA’s ‘Contessa’ was only able to average 10% in the ratings according to Kantar. In contrast, ABS-CBN’s ‘It’s Showtime’ raked in around 17%, and while its numbers declined by around 2% during the Holy Week, it was still enough to dispatch ‘Contessa’. Even the first Saturday episode of ‘Contessa’ on March 24 was a flop, as it earned only 9.9% compared to ‘It’s Showtime”s 17.4%. By comparison, the finale of ‘Ika-6 na Utos’ which aired the previous Saturday finished with a 20.6% rating, 10.7% better than its successor. The slow start of ‘Contessa’ should cause plenty of concern within GMA Network. Following up a successful afternoon drama in ‘Ika-6 na Utos’ was no easy task, but no one expected ‘Contessa’ to fall way below expectations. In the days leading up to its premiere there were some doubts on whether or not ‘Contessa’ will have a Saturday episode. Initially, GMA considered having ‘Contessa’ air only from Monday to Friday, but when the network realized that they lack suitable replacements for the 2:30 p.m. slot, they reluctantly added a Saturday episode on ‘Contessa’. In doing so GMA gave ‘Contessa’ enormously high expectations to succeed. Unfortunately, ‘Contessa’ didn’t come close to sustaining ‘Ika-6 na Utos” high viewership, and it also didn’t help that its first foray into Saturdays failed to produce the desired result. Perhaps it is those bandwagon viewers that only showed up during ‘Ika-6 na Utos’ and then switched to ‘It’s Showtime’ and other programs once it ended. Or perhaps GMA dramas have had a history of starting slow and then occasionally picking up ratings midway through. Whatever the reason, it was clear that ‘Contessa’ underachieved from the get-go. Adding a Saturday episode was a huge mistake and the possibility of viewer burnout became more apparent. But as far as GMA is concerned, ‘Contessa’ has had only one Saturday episode so far (there was no episode during Black Saturday) so it is too early to tell. Still, it remains to be seen whether or not succeeding episodes will increase viewership and give ‘Contessa’ some much-needed respectability. If it does not improve, the onus is on GMA to end its Saturday experiment on ‘Contessa’. Good luck.